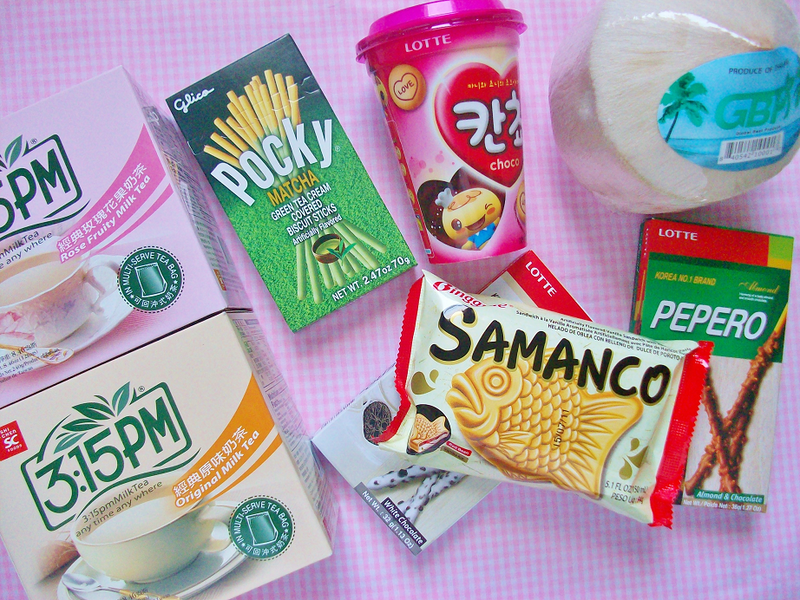 Over the weekend, we took a surprise visit to an Asian and international supermarket called Nam Dae Mun. 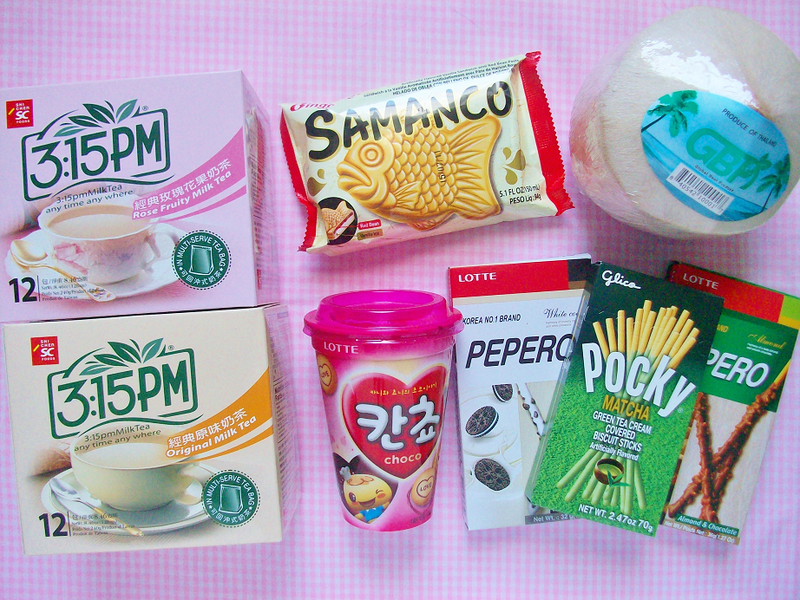 The store has tons of international food, but I was on the hunt for some Korean snacks. When you first walk inside, you instantly get hit by the smell of fish (and it lingers throughout the market). The store was packed that day, probably because it was the weekend. So, I couldn't check out every aisle like I originally planned. I'm trying to eat healthier so I didn't go all out, but now I'm kind of regretting it because everything I bought was actually affordable. 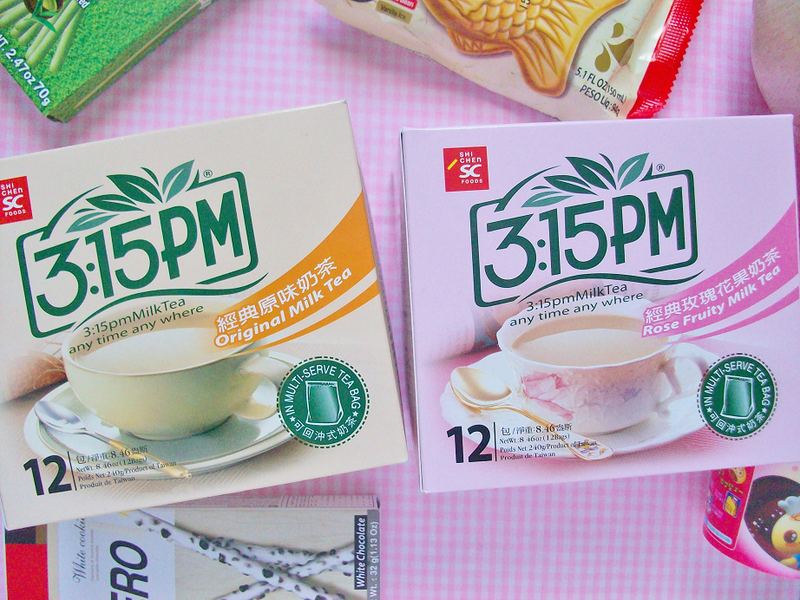 I've been searching for this milk tea for a long time and I finally found it along with it's rosy fruit sister! I can't wait to make boba tea with this! 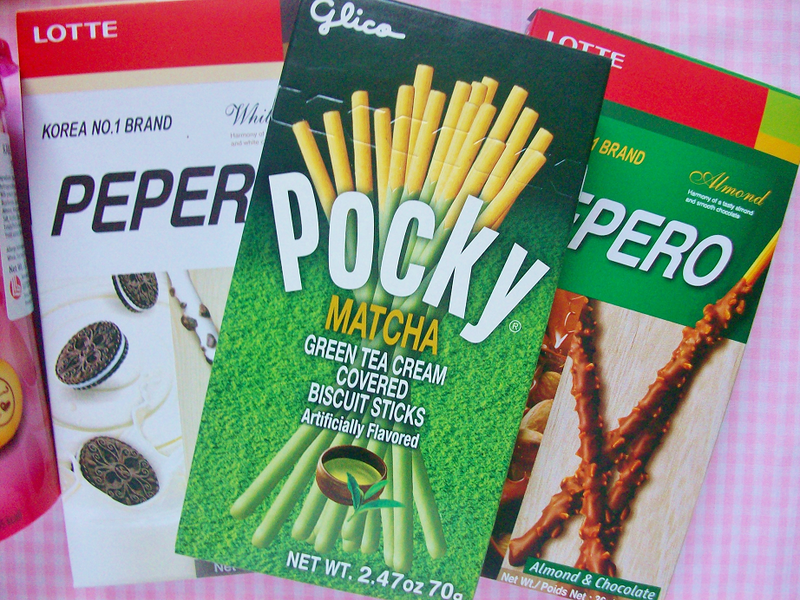 They had all these different flavors of Pocky and they even had Pepero. 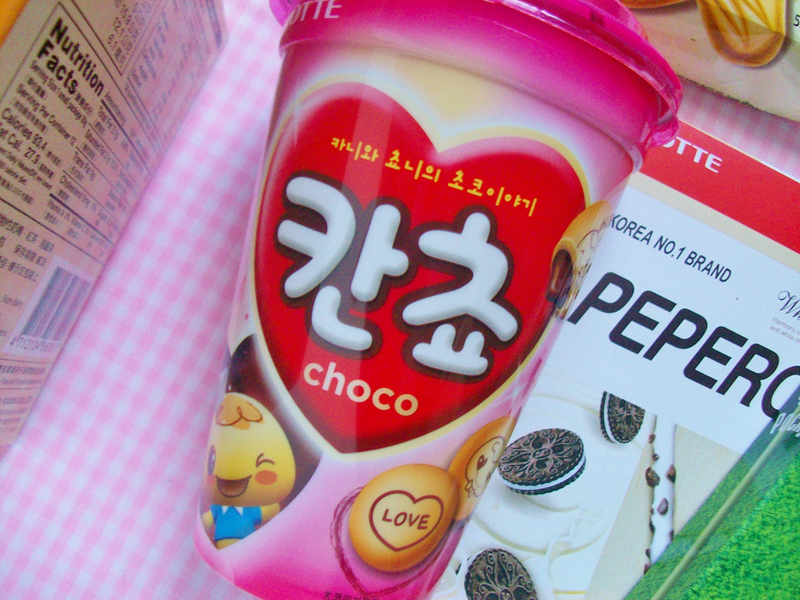 It's the Korean version of Pocky and was even made before Pocky. (It even has it's own holiday!) I had trouble choosing what flavors I wanted but I ended up going with cookies and cream, matcha, and the ever popular almond (it's the most popular flavor in Korea). The packaging on this immediately caught my eyes... Also the price: 79 cents! This is called Kancho and they are round cookie bits with chocolate paste inside. They are a lot like those koala cookies but these are more crunchy then the koalas. 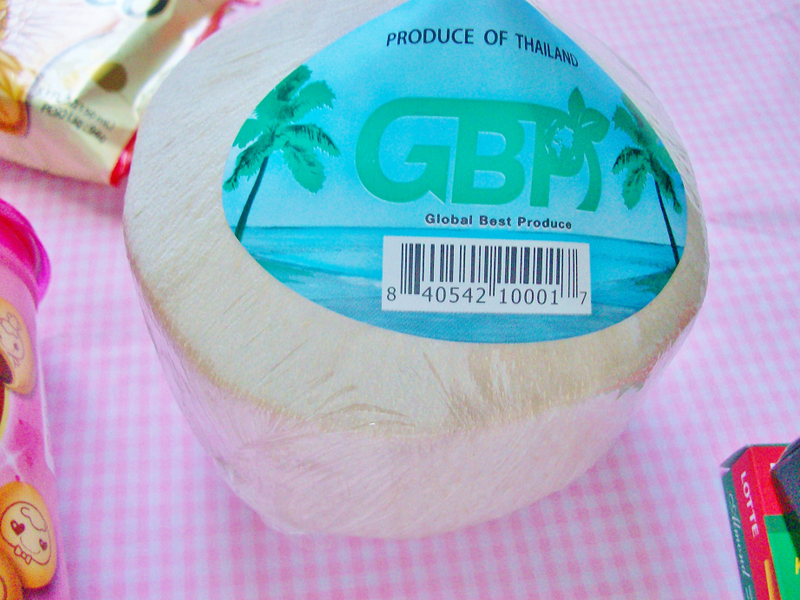 When we were walking around the produce area, my eyes found this coconut. They're called young coconuts. Even though I hate coconut water, I decided to get this because they look so cool (and Instagram-worthy). My only concern is how I'm going to open this without the liquid going everywhere! Anyone have any tips? My older sister got a pack of 4 bungeoppang (that's what they call these fish shaped ice creams in Korea) for $5 but it was worth it because they are so delicious! It contains red bean and vanilla ice, the outside tastes like a wafer cone and the red beans were sweet and gooey. Definitely getting more of these when we go back! Sister's note: These are insanely good! 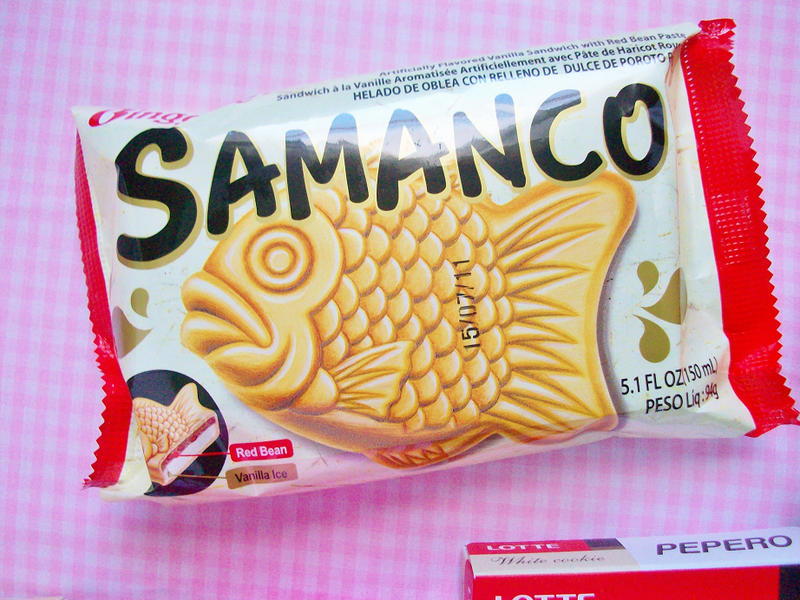 Totally in love with fish-shaped ice cream. Fuq yeah!